PIT V1 Blueprints From Marvel’s GI Joe Comics! 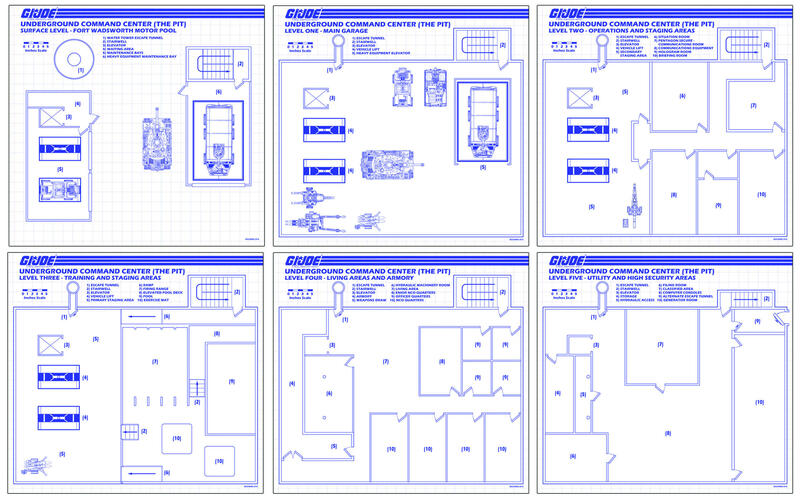 Hisstank newcomer Guam has posted blueprints for the V1 PIT from the Marvel GI Joe Comics. His detail is amazing, every level, every room is detailed in these blueprints so you can make your own PIT! Check it out! HissTank member TOOL posted up several images of his custom PIT 2 diorama based on the ROC Pit he saw pics of at SDCC. Check out all his great images of the interior and exterior. The detail is remarkable.